Serve breakfast in a comfortable and cozy heated floor kitchen. Radiant Floor Heating for the Kitchen is an ideal heating solution that will help reduce the spread of air born allergens by having heat radiate from your heated tile or wood floors, rather than pushed through a dusty duct system. Installing Kitchen floor heating has never been So Easy! Go Green with floor heating in your Kitchen and Save Money! Want to talk with us regarding your Kitchen floor heating or any other heated floors and heated tile project you may have. Please feel free to chat with us or leave us a message if we have stepped away. Kitchen Radiant Floor Heating and Heated Tile. When it comes to the kitchen, the first impression that may often come across people's minds is the delicious food that is available in the kitchen. Then, the next impression will often be how comfortable the kitchen is. Unfortunately, it is often the case that a kitchen is not often quite comfortable to be in. The uncomfortable feeling is often caused by the floor being cold. Fortunately, there is a solution for this today thanks to the advancements in the technology. Today, it is no longer necessary for people to face the cold and chilly kitchen floor either in the morning or in the evening. Today, people can feel comfortable warmth in their kitchens thanks to the kitchen radiant floor heating technology. This is an awesome heating technology. By radiating the heat, this technology reduces the spread of the airborne allergens. It is also a technology that is pretty simple to use. There is no need for any radiator so that the customers will not have to hear some clanking sound at night. There are no whooshing vents either that may prove to be very annoying. This is because the vents often sound like a jet plane that is preparing to take off. There is no dust spewing either because this technology does not pass through the dusty duct work. This kitchen radiant floor heating system is also very efficient when it comes to energy use because it makes use of electric wires or tubes filled with hot water. These devices are located under the floor making this system invisible. These devices are the ones that are used to supply the heat that customers expect. Because the thermal radiation waves come from below the floor, any object they pass will be heated as well. This way, there will be no object in the customers' surrounding that will steal the warmth from their body. This is what customers could not previously get with the more conventional floor heating system, air-forced, although most of the Americans used to use it. The heat was not regulated back then. Initially, customers will be able to obtain air blowing out at 120 degree off the registers. But this would not last for long. The temperature in the room would soon drop back down causing the room to be cold again. As a result, the customers might feel warm in other places but not on their feet. Fortunately, this has become a thing of the past. 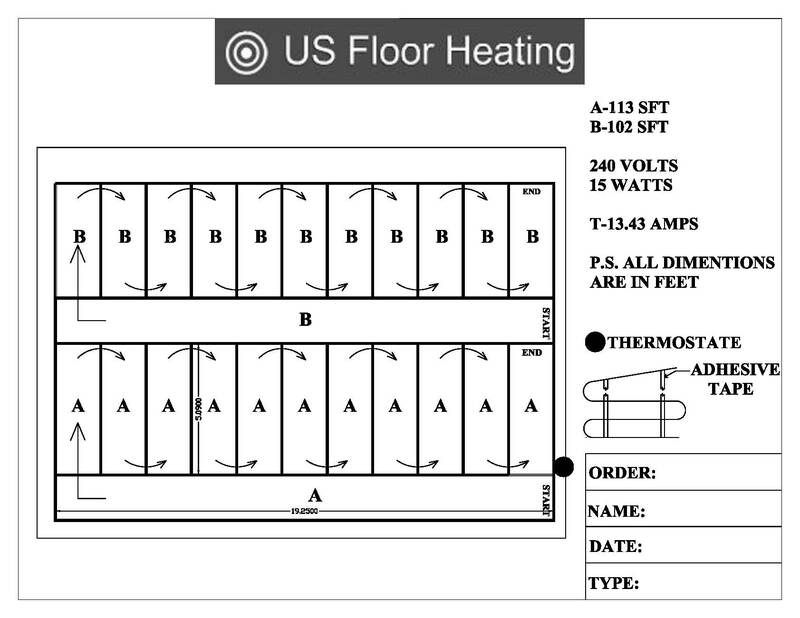 In order to obtain the kitchen radiant floor heating technology, customers may want to look at U.S Floor Heating as one of the available manufacturers of such technology. The good thing with this manufacturer is that they always try to manufacture the floor heating technology by paying detailed attention to the dimension of the customers' homes. This way, the product will be easy to install even by the customers themselves.